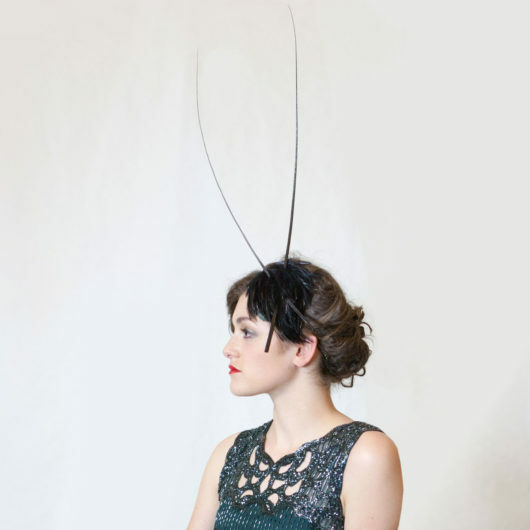 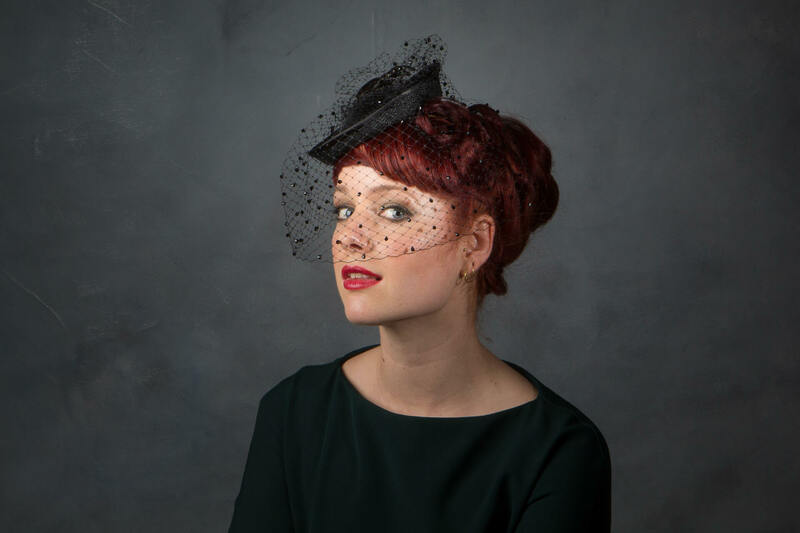 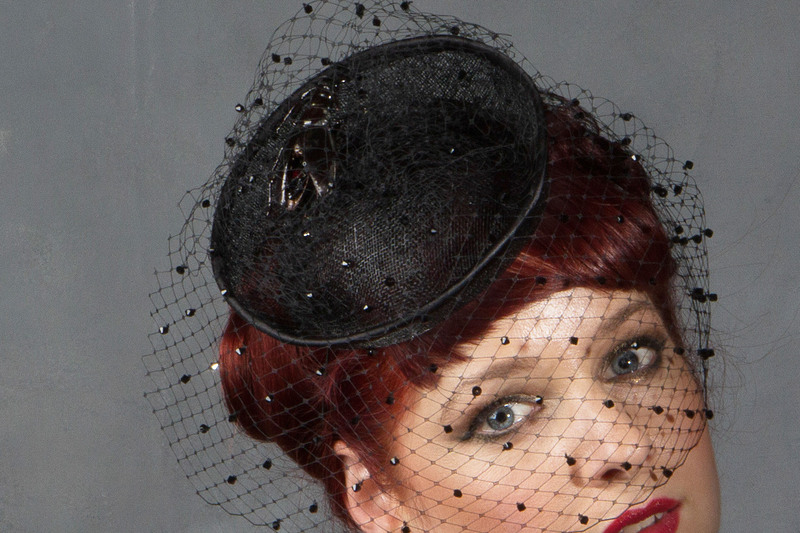 This black sinamay cocktail hat gives the illusion of being all glitz and glam with the fabulous embellished birdcage veil, but there’s a surprising twist: Hidden among the crystals are real beetles! 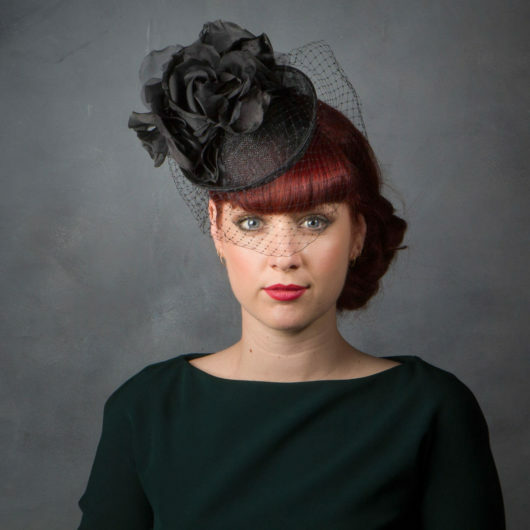 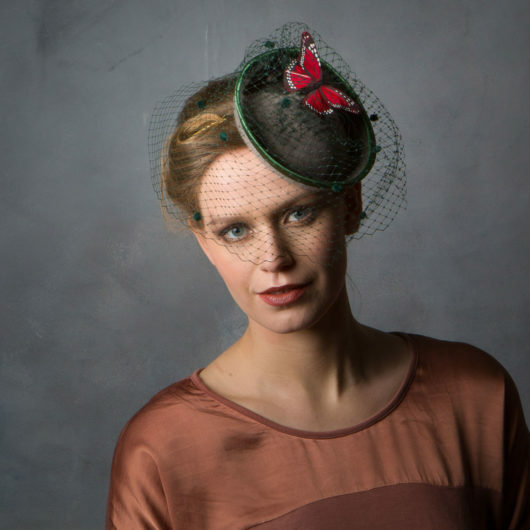 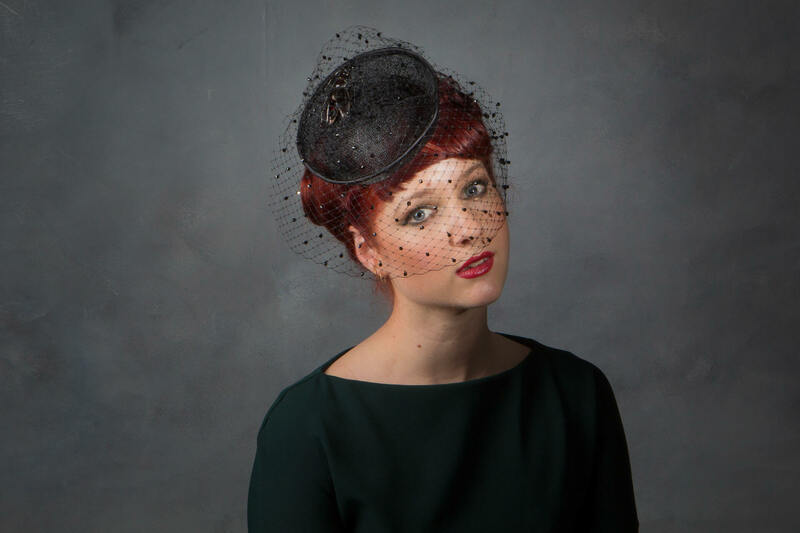 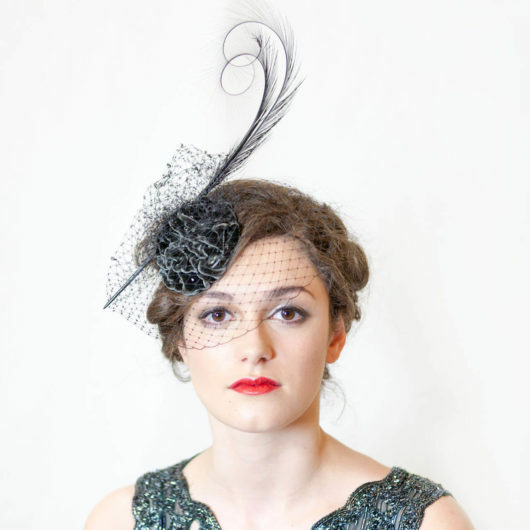 Preserved and themselves adorned with Swarovski crystals, this hat isn’t for the faint hearted! 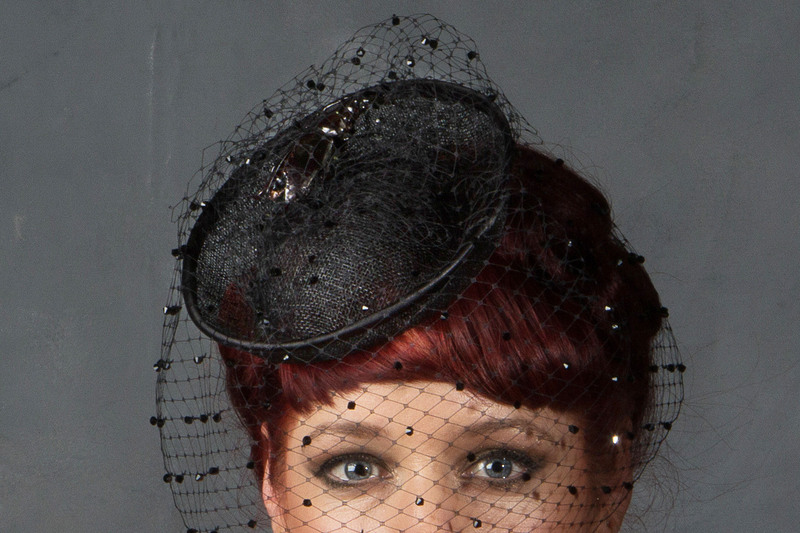 Wear if you want to cause a stir….